Staying at the Old Castle Farm Guest House opens up a plethora of activities and things to do. Your stay with us will be an absolute delight as there are so many Places of Interest in and around Brecon. 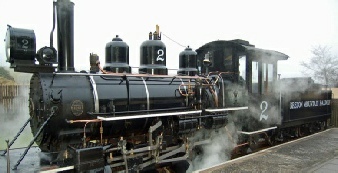 We have many attractions on the doorstep which you may not be aware of. Spending a weekend exploring will have you hooked and we hope you will agree that its worth a longer visit! As well the many great attractions nearby, each year the area is host to popular festivals and shows, such as the Brecon County Show, Brecon Jazz, Hay Festival, Green Man Festival, Royal Welsh Show, and lots more to see and do! The Monmouthshire and Brecon Canal is a twentieth-century name for two eighteenth century Canals. At Cantref we offer a fun filled day for the entire family! We have a large heated indoor play zone, a farm, house café with delicious home cooked meals with spectacular views. We have animal shows scheduled throughout the day from pet handling to ferret racing! We also have outdoor attractions like our Super Sledge Ride, Swamp Adventure, New Miniature Section & Pony Rides available to keep you all entertained on your fun family day out in the Brecon Beacons. The line runs from Pant, near Merthyr Tydfil. Travel in one of our all-weather Observation Carriages, behind a vintage steam locomotive, into the Brecon Beacons National Park to see stunning views of the peaks of the Beacons across the Taf Fechan reservoir. At Pontsticill you can alight from the train and visit our lakeside cafe, admire the view or go for a ramble alongside the reservoir. There is also a children’s play area here. We’re located in the perfect spot in the old village of Penderyn, nestled in the foothills of the Brecon Beacons, and there we have created the best little distillery in Wales. And the smoothest wysgi on earth. Penderyn Single Malt Welsh Whisky was first launched on St David’s Day, 1st March 2004, in the presence of HRH Prince Charles, to huge critical acclaim from both acknowledged whisky experts and "ordinary" consumers. The largest natural lake in South Wales is a fine spot for sailing, wildlife-watching and waterside strolls with shimmering views. 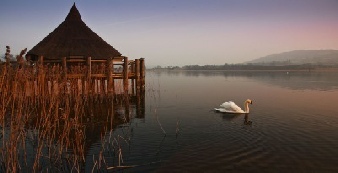 There’s local history to explore, too at the Crannog near the northwest shore. Over 1000 years ago, this was the homestead of a local king. Our traditional watermill is working again - milling delicious stoneground wholemeal flour. The Mill and its cafe and bakery are open around the year - come and see us and watch our waterwheel turning. 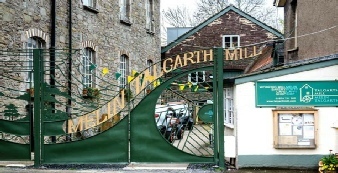 Restored in 2011 as part of the BBC's Village SOS TV programme, Talgarth Mill is a thriving community enterprise at the heart of the quaint town of Talgarth in the Brecon Beacons National Park in Mid Wales. Our watermill is just an hour away from Cardiff and is open six days a week throughout the year - it’s a great place to visit for a morning or afternoon and is only just down the road from Hay on Wye, the famous book town. First discovered in 1912, and opened to the public in 1939, there are now 3 Show Caves, a Dinosaur Park, replica Iron-Age Village, Shire Horse centre and Stone Circles to explore. 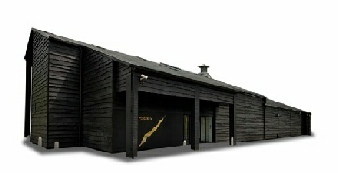 Includes Visitor Centre and Restaurant. We are located in the lovely Brecon Beacons National Park area of South Wales. Formerly a traditional Welsh hill farm, the sanctuary now rescues and provides a home for many types of unwanted animals. especially primates, such as chimpanzees, baboons, spider monkeys, capuchins and marmosets. Visitors are welcome to see the animals and the work we do. 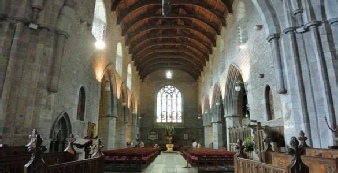 The purpose of this magnificent Cathedral Church of St John the Evangelist is to worship God. We pray here every day, following the pattern of St Benedict. The Cathedral welcomes everyone who passes through, if you are visiting as a tourist, come to offer your personal prayers and light a candle, or interested in history, architecture or stained glass windows. There are many things to see and learn about. 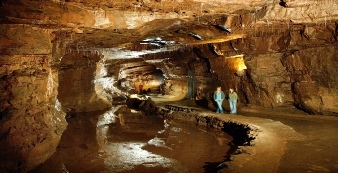 Mid Wales and the Brecon Beacons features incredible natural beauty, wildlife and cultural heritage. It's a destination for all seasons, with National Trails, festivals and pretty spa and market towns.